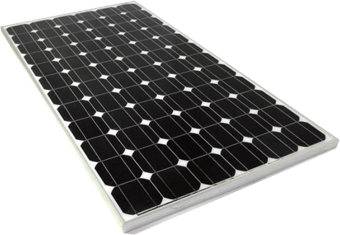 We supply a range of Monocrystalline solar panels. If you don't see the size or make you require, contact us for a free quote. Simply defined, the material difference between polycrystalline and monocrystalline rests in the composition of the silicon substrate used to make solar cells, and in turn solar panels. As the name implies, monocrystalline means “a single crystal,” while polycrystalline means “many crystals.” Large crystal sizes lead to more efficient solar cells, which is why monocrystalline cells are typically 10% to 15% more efficient than their polycrystalline counterparts.